All our rates are in Indian Rupees and exclusive of taxes . Our rates are set and we offer no discounts, which allows us to keep our rates as low as possible and everybody pays the same fair rate. We ask for a 50% deposit in advance to secure your reservation. If you have an Indian bank account, we will send you our account details for you to make the deposit. We ask our overseas guests to make the deposit using TransferWise, which is the cheapest way to send money. If you would prefer not to or cannot use TransferWise, we use Paypal. When using Paypal we add a 5% charge to cover Paypal fees. Once you have paid the deposit, your reservation is secure and we kindly ask that you pay the remainder in India Rupees at the time of check-in. Early or late check-in and check-out are based on availability. Please let us know well in advance so we can do our best to make you happy. If availability allows it, early or late check-in and check-out will be provided at no extra charge. Our rates are for two adults per room. Stay for one child below the age of 10 is free. For more than one child/for children above 10 years, we charge Rs.1000 per child. If you need an additional bed we'll put one in at Rs. 1000 per bed. We have 7 cottages in Agonda and all are directly sea-facing and built under the coconut trees. 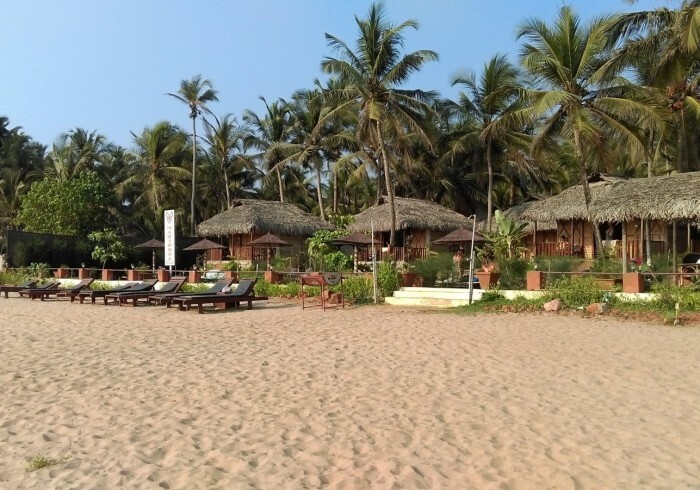 We have 5 cottages in Agonda and a restaurant in one location on Agonda beach and two more cottages in Agonda at another location along the beach (with complementary breakfast- ONLY FOR GRAND VILLA). Wake up to views over the Arabian Ocean from the comfort of your beach side cottage. Spot the dolphins in the morning and watch the sunset on the ocean horizon at the days end.Unwind in the spacious bedroom or laze on your private veranda overlooking the sea and listen to the sound of the waves. When looking at Agonda resorts you will see that for comfort, view and rates we are amazing value. We also thank all of our guests who have kindly written reviews on TripAdvisor of their experience and have within a short time rated us amongst the best places to stay in Agonda.